Being able to identify precisely what kind of wood was used to create an object helps to better understand it, and therefore to be able to apply adequate treatments and preventive measures for its conservation. As part of the staff development program of the CRC, last month I had the chance to attend a training course in wood identification organized by the WoodMusICK COST Action. COST is the European Cooperation in Science and Technology, and they fund ‘Actions’ for specific subjects throughout Europe. The WoodMusICK Action (WOODen MUSical Instrument Conservation and Knowledge) aims to “combine forces and to foster research on wooden musical instruments in order to preserve and develop the dissemination of knowledge on musical instruments in Europe through interdisciplinary research”. 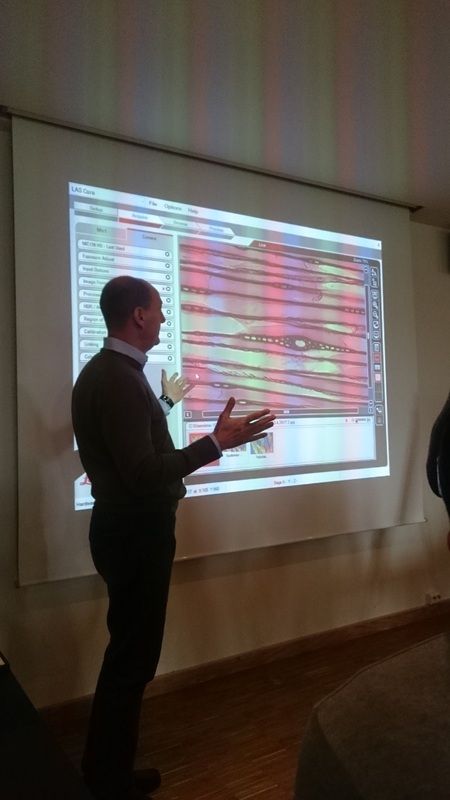 Marco Fioravanti from GESAAF-University of Florence explaining the cellular structure of wood. 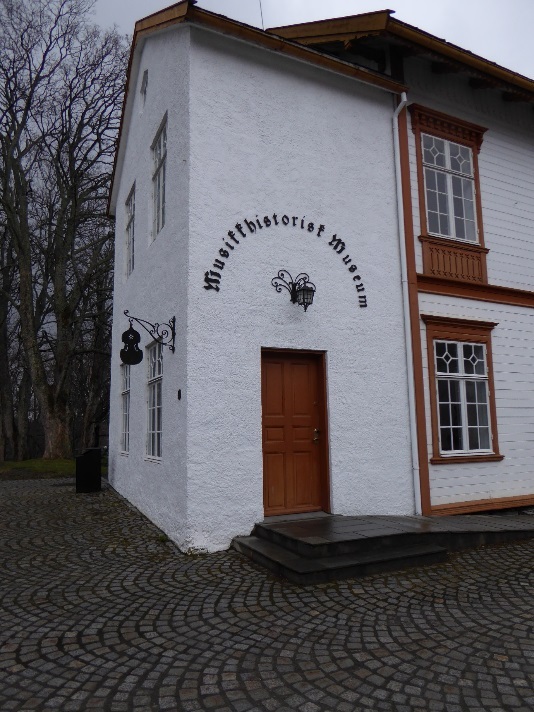 The training course took place in the Ringve Music Museum in Trondheim, Norway, and it was intended for scientists and conservators with a particular interest in musical instruments. 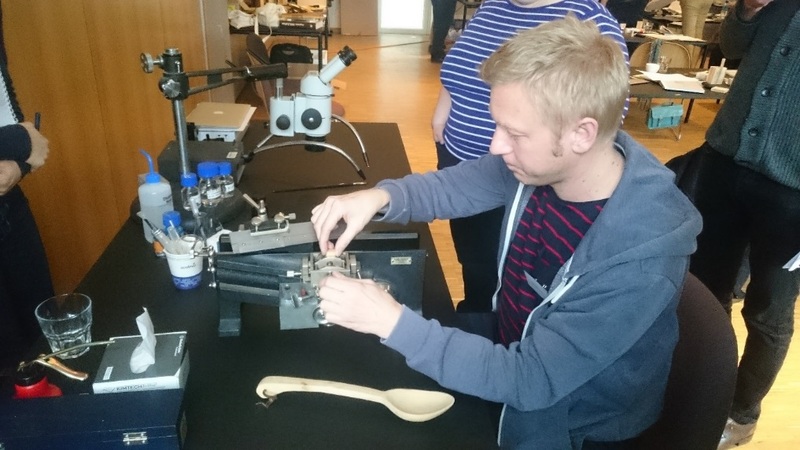 This means that apart from learning a good set of skills for the identification of wood, I also had the chance to meet and interact with colleagues from other musical instrument collections in Europe, and to tour the conservation studio of the Ringve museum. Wood identification can provide important information regarding the provenance, or authenticity of an instrument. The use of specific woods gives us very interesting clues as to where or when an instrument was made, according to the availability of certain wood species in specific geographic regions. The use of certain wood species can also help us understand historical wood trading routes, market tendencies and fashion trends. Looking at the wood of a Norwegian violin (Hardingfele) with a hand-held digital microscope. 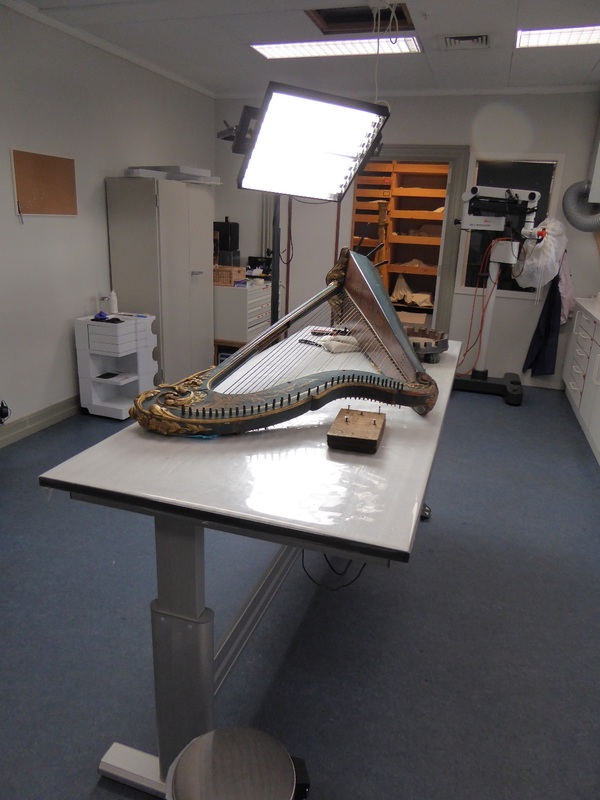 As a conservator, a substantial part of my job is to preserve, treat, and research the instruments of the University collection. 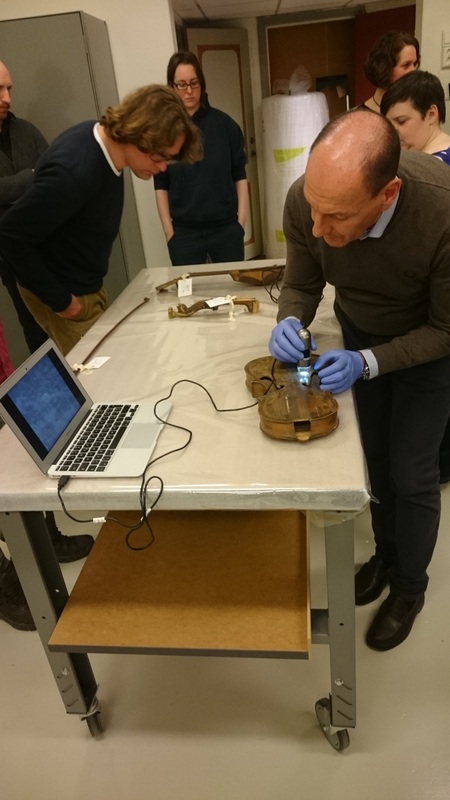 Learning about the anatomy and structure of wood, and being able to identify wood species employed in the construction of the instruments of our collection will be very helpful to better understand and conserve our instruments. This entry was posted in Muscial Instruments, Training and tagged MIMEd, Muscial intrsument conservation, Ringve Music Museum by conservation. Bookmark the permalink. giving inspiration, nice. whats next post?